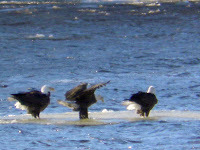 December 12th The Bald Eagles were out in force today on the Mississippi River in Alma, Wisconsin following yesterday's blizzard and record 26" snowfall. There were well over 200 Bald Eagles counted in the 2-mile stretch along Alma's Main Street. 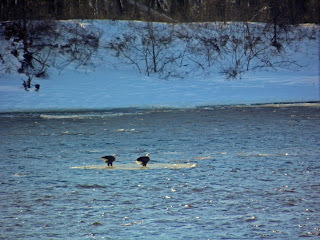 With the winds from the north they could hover over the water and wait for a fish. 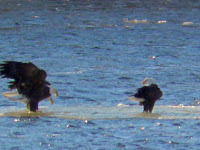 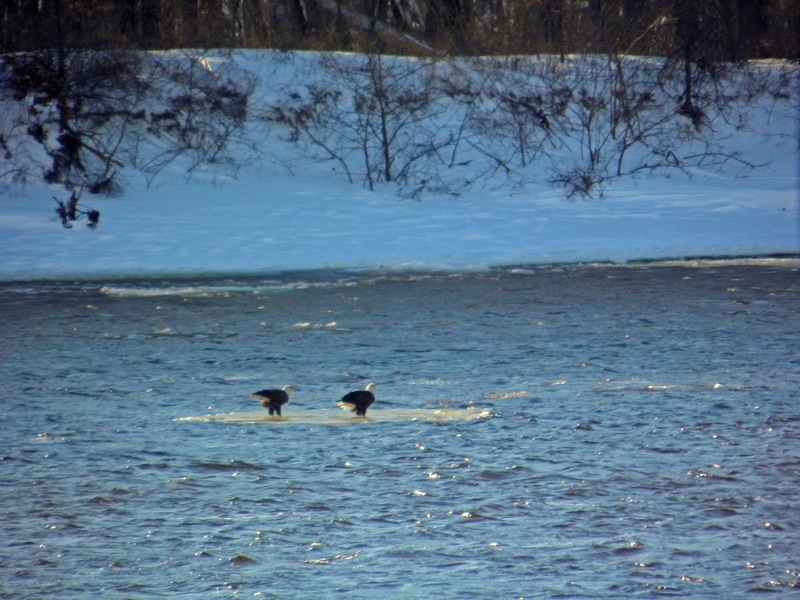 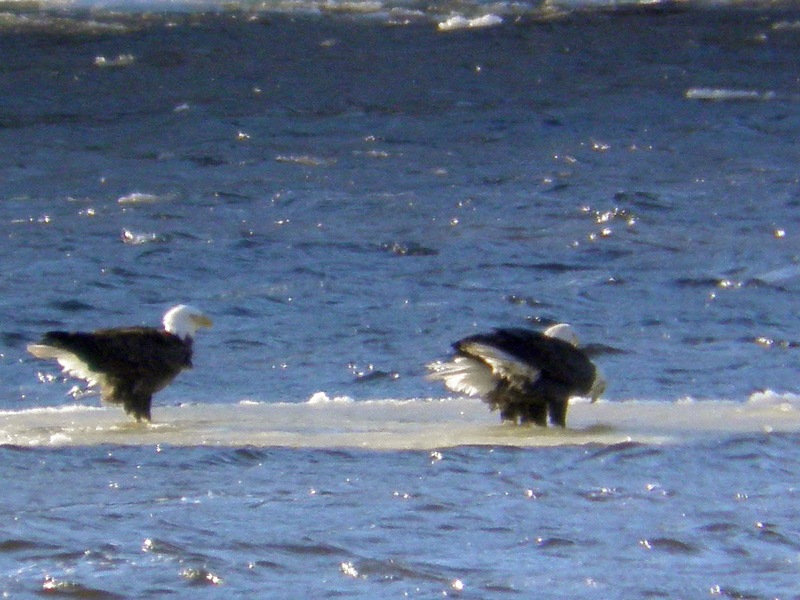 These Bald Eagles took the easy way and floated on a piece of ice down the fast moving Mississippi River. 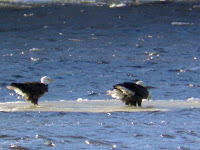 They had trouble standing because of the wind and the swiftness of the water. ...from one end of the ice float to the other.